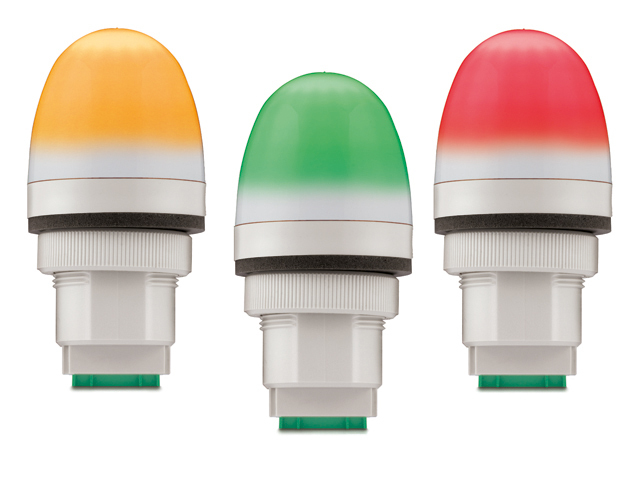 Models PMMFL and PMMST were developed with a multichannel technology, that allows three different colors (amber, green and red) controllable via independent electric contacts. Model PMMFL produces a flashing light effect, while model PMMST has a steady light effect. These models offer a self-extinguishing PC body that protects against vibrations, dust and atmospheric elements. The device can be panel mounted through a 1.18" hole and secured with the provided locking ring.